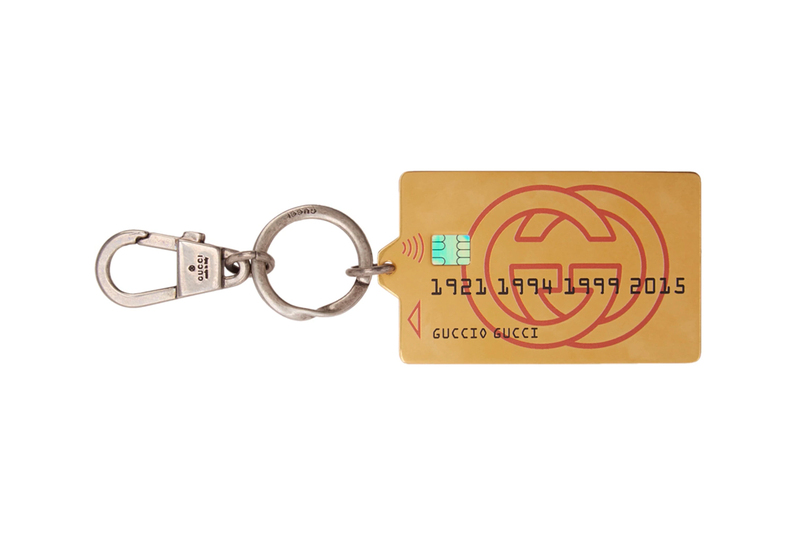 Adding to its series of outlandish accessories, Gucci recently dropped its “Maison DE L’AMOUR” Credit Card Keychain. Modeled after the ubiquitous payment method, the metal plate is done in dull gold plating, and is decorated with a red retro GG logo, holographic EMV chip, and playful “GUCCIO GUCCI” cardholder information. The back of the card features “Maison DE L’AMOUR” branding, a non-functional magnetic strip and the cardholder’s signature box. Finishing up the design of the keychain is a antique silver-tone lanyard-clasp and twisted keyring fastening — complete with subtle Gucci engravings. Priced at $390 USD, Gucci’s Maison DE L’AMOUR Credit Card Keychain is available now at SSENSE. For more contemporary fashion, Prada recently released a simple logo-appliqued nylon visor.